The IKV Melota held its 15th Bat’leth Tournament last weekend and wow, what a tournament it was! This event had our biggest turnout since moving to public property. We had 18 combatants, and 32 total attendees for which I can account (I may have missed some in the counting), only one of whom dropped out because of injury. Fleet 31 fielded Admiral Cam Wilkinson himself, along with Lt. Lizzie Lynch and Lt.Cmdr. Redux Chen. Kai! First time at Tournament and they bring three Warriors into the Ring. They have been working hard at the bat’leth practices during the summer getting ready for this. Admiral Wilkinson even designed his own bat’leth and it fared quite well. With more than these as new Warriors, a whole new dynamic occurred – we were not always fighting the same Warriors we know all too well. All of the new Warriors were young. Most were fast and light, all were fast. No more lumbering amongst the aging dinosaurs! This Tournament brought out the best of tactics, styles, and tricks. What do you call a tradition that is outside of your control? For some reason, there is a tradition that mek’leth is always taken by a guest, when we have a guest Warrior. Is it tradition because it always happens? We don’t plan it to happen. It just does. This time Admiral Wilkinson took the Mek’leth Trophy. Both of our kids faced each other for d’k tahg. That was quite an exciting battle, but in the end Caraneth took the Trophy. Even though Avalona did not win a single weapon, she placed so highly in all divisions that she took Show. Except for the incredibly dangerous Dr. Gizmo, all of the other slots were the young Warriors. 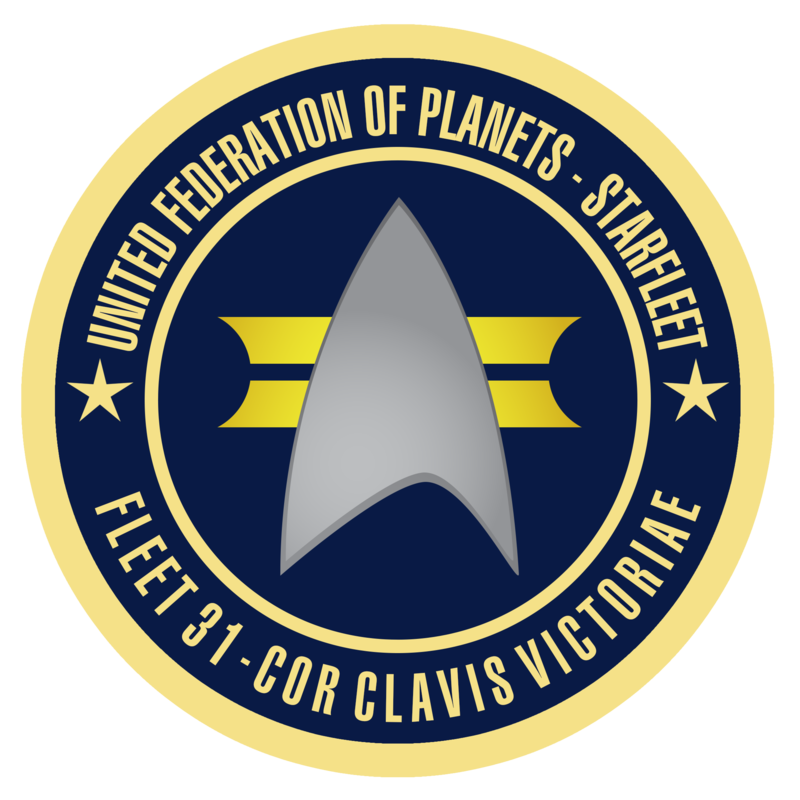 The USS Joshua’s Kobayashi Maru was modified to become a game of walking (on boards in teams) around the cul de sac collecting objects and stealing them from your competitors. Lt. Chuck was hefted and insulted for the XO toss. Trivia is a traditional item almost to the point of being required. Ceremonies were held at dusk, as is our way. The Bloodwine was dipped, the Death Howl rocked the lake, awards were given, and one special promotion was made***. Thanks to Mrs. Gizmo for handling the scoring and the Saturday lunch. That made a difference. A special thanks to Admiral Wilkinson and Caleb for their assistance in the setup, tear down, and packing that we all face in making this event happen. Now, the Special *** part! Most important to the IKV Melota and me personally, we had a Houston area person make the drive. She has another KAG recruit that could not come. With the prior Houston person this makes three: the nucleus of what I have referred to for years as Project: IKV Houston. We tapped Qalara as the ensign of the IKV Houston, and she was serious about participation, bringing cool stuff to share. We now have the beginnings of at least an Outpost in Houston. Ensign Qalara, Admiral Wilkinson, and the Melota were discussing having cross pollination events in Houston to have a greater impact.